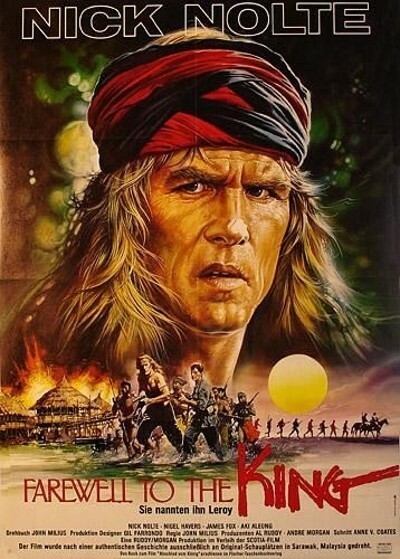 Description: An American soldier who escapes the execution of his comrades by Japanese soldiers in Borneo during WWII becomes the leader of a personal empire among the headhunters in this war story told in the style of Joseph Conrad and Rudyard Kipling. The American is reluctant to rejoin the fight against the Japanese on the urging of a British commando team but conducts a war of vengeance when the Japanese attack his adopted people. Tagged 1980s, Based On Book, English, USA. Bookmark the permalink.